If you are concerned about a soft lump or swelling that you have had for a long time, it is possible that you are experiencing the development of a lipoma. A lipoma is a soft, beneath the skin, fatty lump that is slow growing. It has a doughy feeling to it and rarely causes any pain or tenderness except when it pushes on nearby anatomic structures and nerves. Because it is not typically attached to skin or muscle, a lipoma is able to move around when finger pressure is applied (mobile). It is not cancerous, but occasionally its rapid growth can be disfiguring or cause discomfort, sending a person to seek a clear diagnosis and lipoma treatment. Dr. Bastidas evaluates and provides lipoma treatment, assuring the delivery of safe, high quality health care to his patients. If a lipoma becomes bothersome relative to its location, or continues to grow, most patients seek treatment. Lipoma treatment by Dr. Bastidas involves a simple excision and sending the material for biopsy. Dr. Bastidas can remove most lipomas in the office under local anesthesia with minimal downtime or discomfort to you. Lipoma excisions are more often covered by insurance and considered medically necessary. There may be some temporary bruising related to lipoma location and its size. Recurrence after the excision of a lipoma is uncommon if fully removed. Relief from the discomfort of a lipoma as its pressure to nearby nerves causes nerve pain makes a strong case for lipoma treatment through excision. When ignored for several years, lipomas can grow to substantial sizes and stretch the normal skin out. Dr. Bastidas and his team recognize that to the patient, no surgery is insignificant. The staff will do their best to schedule you as promptly as possible and when you visit Dr. Bastidas' office you will be given all the information you need to understand your lipoma treatment, post-incision care and follow-up, when needed, with Dr. Bastidas. 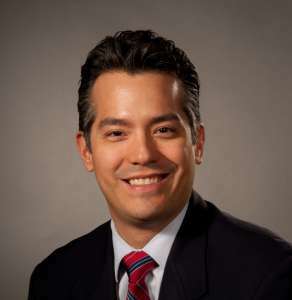 Visit our websites at www.DrBastidas.com and www.ippcs.org and learn more about Dr. Bastidas, his background and his plastic surgery protocols for adults and children. Lipoma treatment by Dr. Bastidas places you in talented hands with a team of professionals caring for you.